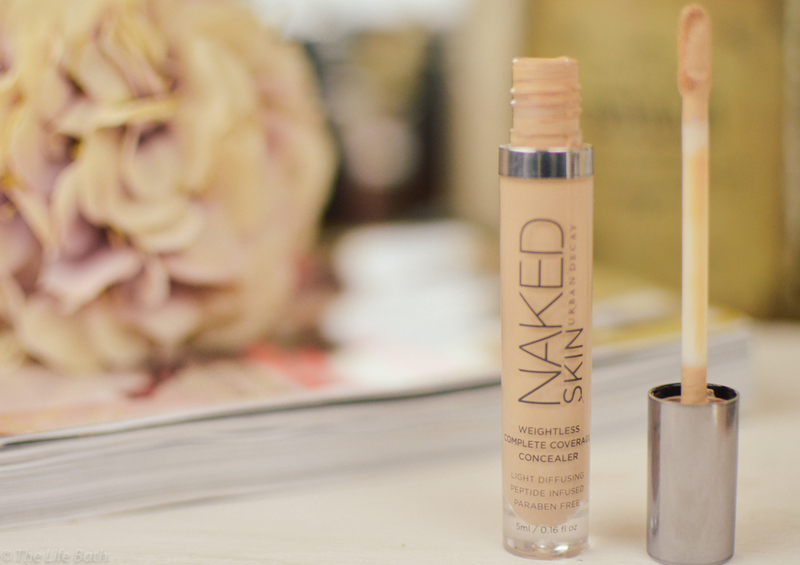 If I was asked what one makeup product I could not live without, concealer would be at the top of that list. I think I have tried every concealer on the market (disclaimer this might be an exaggeration) and I have found ones I have liked and that have done the job to an extent, but after using some I have still been self-conscious about my dark under eyes or my bad skin breakouts and it felt like I was never going to find the perfect product to hide them. I have noticed my eye area changing over the last few years, and now I am over *cough* 30, I have noticed concealer I used to really love becoming cakey on my eye area and sitting in my fine lines, which obviously no one wants to happen. For a long time I was a big fan of the very affordable Collections - Lasting Perfection Concealer and went through a good few tubes of this, the only downfall to this was that it doesn't last all day on me. It was perfect for covering up and didn't build up in the wrong places but I wanted to see what else was out there. Like most of the products I end up buying I saw the Urban Decay Naked Skin Concealer in one of Lily Pebbles videos, her and Anna from The Anna Edit have raved about it for a very long time. I picked up my first tube and the rest, as they say, is history......the love affair began (Yes I know how ridiculous that sounds). To make all my product reviews simple going forward I am going to split the review into 3 categories, First Impressions, Results, Value for money. So let's get into it. Urban Decay Naked Skin Concealer comes in a glass tube with a 'dipstick' applicator, I have no idea if they are called dipsticks but you can see from the picture what I mean, (Since writing this I have found out it is called a Doe foot applicator.....fancy!). I do prefer this as I hate sticking my finger into concealer, not just because of the germs that are on your hands but mainly because I have long nails and pot concealers always get under my nails and make a big mess. Does anyone else have this problem? The consistency is really nice and creamy and applies really well, it never feels like it is drying on the skin or sticky which makes it amazing for blending. Like I say it is so easy to blend. I use a beauty blender to pat it into the skin as this gives extra coverage. The risk of doing this with any liquid makeup product is that it can look caked on and thick; the Naked Skin concealer just doesn't do this, it blends seamlessly into the skin with amazing coverage. Creasing under the eyes is my biggest bugbear when it comes to concealer and some I have tried in the past leave awful lines of makeup under the eye after a few minutes of wear, with this product I get none of that and the tiniest amount covers blemishes so well. I have combination skin resulting in very oily patches and very dry patches and it works perfectly on both areas and lasts all day if set into place with powder. Incredibly impressed with the results! It doesn't matter if you are the richest person in the world when you buy something you want to know it has been worth the money you have spent on it. Urban Decay is without doubt great value for money. Naked Skin is £17.50 for 5ml, technically not the cheapest one around but as you don't need a lot of the product for it to work well it does last a while. Plus the level it works at I have no issues spending this amount of money on a concealer and have repurchased this twice. 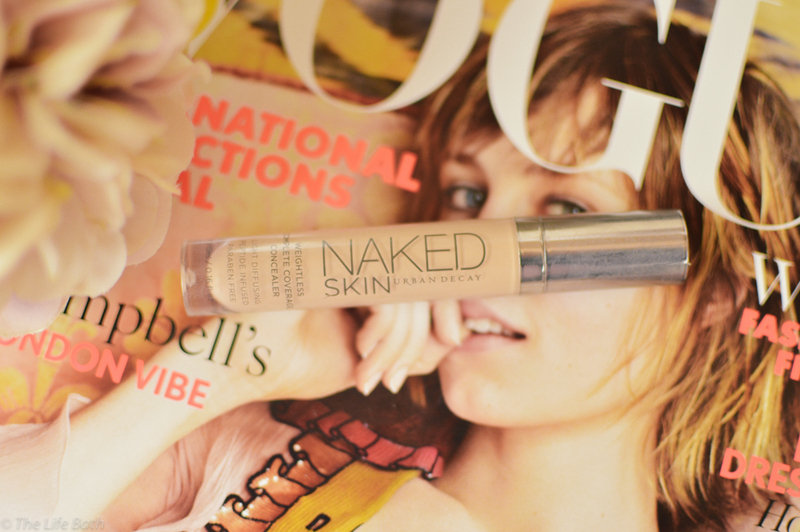 I would love it if you could comment below and let me know if you have tried Urban Decay Naked Skin Concealer or if you try it after reading this post. Please share on twitter and Facebook as it would mean the world to me. Thank you.